Fast mediumwaves, GRADO radiant infrared heater. Infrared heating is a form of heat and energy transmission through electromagnetic waves that turn into heat when they radiate on a body. They constitute a part of the waves naturally emitted by the sun and they are not at all harmful. Several studies on the subject state that infrared rays strenghten the immune system and increase the vascularity improving the nutrition of skin, muscles and connective tissues with oxygen and nutrients. The practical confirmation is the use of infrared rays to heat the infants in incubators in pediatric departments. Infrared rays are widely used also in medical and therapeutic fields. They travel at the speed of light and they have the prerogative to not heat the air. This allows a considerable energy savings because there's no loss of energy efficiency dissipated on the double route from heater to air and from the air to objects and/or persons, as it happens in the conventional heating. Radiant infrared heaters produce ideal comfort conditions for the man, without generating convective motion. 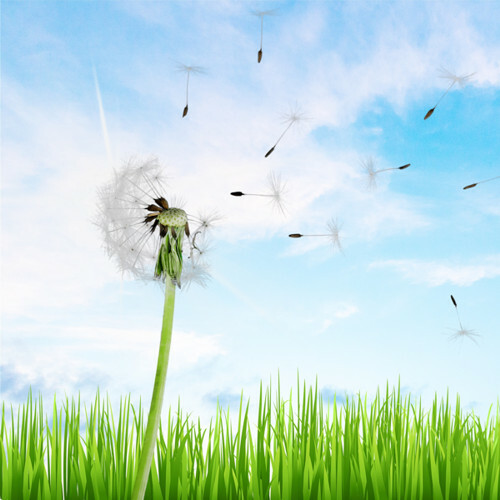 So the air is cleaner and healtier, not by creating dust recirculation that gets dirty and produces allergies. They don't create any mould, condensate, dry air and carbon monoxide (CO2). They don't burn oxygen, they produce heat without noise, odours, smoke and soot. Heaters are equipped with special lamps with a tubular bulb that emit infrared rays, available in several powers and combinable between them in multiple structures in order to optimise performance and consumption. They reach the operating temperature almost instantly, avoiding time and energy wast. They are called infrared rays solely for their proximity to the red colour of the visible light spectrum. GRADO line of infrared heaters includes both shortwave and mediumwave models. For the latter the choice has been evaluated with years of experience and research. The ancients said that "In medio stat virtus", to indicate that a compromise situation can be better than extreme choices, if well conceived and with variables properly evaluated. OMV/OMVE GRADO product has a technology called FAST MEDIUMWAVE. The radiant lamp produces poor visible light, bulb temperature is between 550 and 700 celsius degrees and its ignition time is less of 20 seconds. It's more efficient than conventional lamps with mediumwaves to heat deep both objects and bodies. The heat produced, diffused and enveloping, requires less absorbed power, by allowing greater energy savings, longevity of the lamp, flexibility of use and installation. 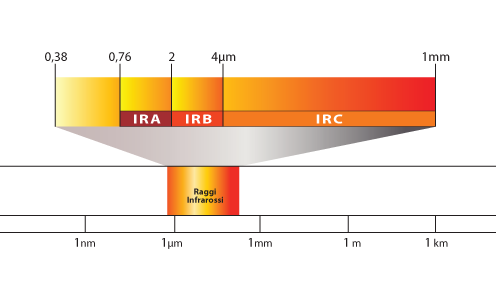 There are three types of infrared rays that have different characteristics of radiation, efficiency and irradiance. Shortwaves are the most common and efficient, produced by special halogen lamps, active within one second by the ignition and able to heat quickly, but the heat produced is more superficial, with little capacity to penetrate objects and bodies. For this it's immediately felt during operation but just as quickly it's disposed when shutting down. They are the closest waves to the visible spectrum (wavelenght between 0,76 e 2 µm) and their colour is bright orange. The bulb temperature is very high, between 800 and 1200 celsius degrees. They are the most effective to penetrate the air (about 97%), radiating directly the affected areas. It's the most widely used technology in the industrial field because of its maximum ratio power/price. Infrared rays with shortwaves are well absorbed by the body but they can be reflected by objects with a smooth surface and light colours. They require some expertises to design the space to heat in order to avoid excessive concentration of heat and annoying light reflections. Mediumwaves are almost unused and known due to far greater cost of the product. They produce a very little light orange visible light (wavelenght between 2 and 4 µm) and the bulb temperature is around 500 celsius degrees. They have a greater capacity to heat deep objects and solid bodies. They are less efficient in penetrating the air (about 50%) that will make the space more pleasant increasing its temperature. For this reason the heat produced is more diffused, comfortable and it persists more also after the shutdown, giving a more natural feeling of the heat felt. The quartz lamps with mediumwaves take about 30 seconds to reach the operating temperature that tends to remain stably on the irradiated surfaces. Longevity of lamps with mediumwaves is greater than those with shortwaves. The first italian heaters built with a IP24 modular lamp holder system that is completely protected and immediately removable. It guarantees a high thermal dissipation, a high level of security due to a thermal expansion of the elements and a quick replacement of the whole optical unit in the extraordinary maintenance after years and years of operation. A range of internal modules for all professional applications in industrial processes. Steel suitable for temperatures. 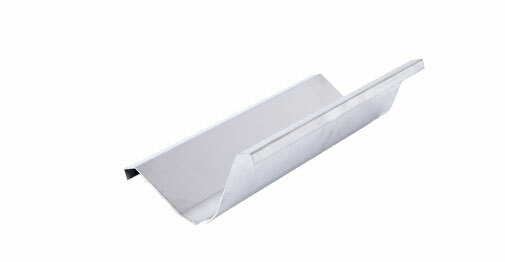 aluminum of high thickness (12/10), quick replacement kit for the optical unit. The first not parabolic interchangeable optical group made in Italy. Our products are equipped with an interchangeable optical group with two different angles that is designed to get the best thermal effect on the bodies.